Vitamin C | Become Healthy or Extinct! 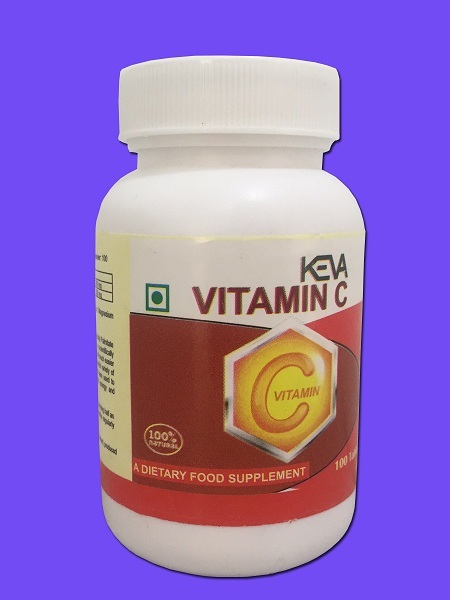 Description: Keva Industries has introduced Vitamin C Tablets which is HALAL & Kosher Certified Product and produced under GMP guidelines. Being blend of internationally acclaimed ingredients this product can meet high quality standards and is outcome of rigorous research of our technical team. Vitamin C is an antioxidant that helps support the immune system and helps neutralize free radicals in the body. Additionally, vitamin C is necessary for the body to manufacture collagen, which is important for healthy skin. Directions for use: Take 1 Tablet twice a day morning and evening on an empty stomach and half an hour before meal. For better results can take 6-12 months regularly.